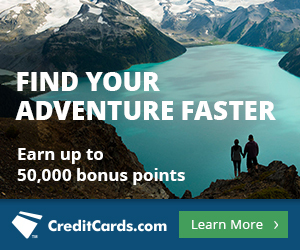 The SPG cards’ 30k offers end today 9/14/15. Presumably tomorrow the standard 25k offers will return. The Starwood Preferred Guest personal and business credit cards from American Express now come with 30,000 bonus Starpoints, up from the normal sign up bonus is 25,000 points. The personal card requires spending $3,000 in the first three months, and the business card requires spending $5,000 in the first three months to unlock the bonuses. The increased bonus is only for applicants approved by September 14, 2015. Eligibility: You can’t get the personal bonus if you’ve ever gotten the personal bonus before. You can’t get the business bonus if you have the card currently or cancelled it in the last 12 months. Until September 14, The Starwood Preferred Guest personal and business credit cards from American Express now come with 30,000 bonus Starpoints, up from the normal sign up bonus is 25,000 points. The personal card requires spending $3,000 in the first three months, and the business card requires spending $5,000 in the first three months to unlock the bonuses. Subject to the eligibility section below, you can get both cards at once. If you get both cards, you’ll have to spend $8,000 in the first six months of cardmembership to unlock the sign up bonuses. In return, you’ll get one Starpoint per dollar spent plus a 30,000 point bonus on each card for a total of 60,000 Starpoints. I get at least 2.5 cents of value per Starpoint in the following ways, meaning a total value of at least $1,500 to me. Starpoints can be used for free nights at any Sheraton, W, Westin, Le Meridien, Aloft, Four Points, St. Regis, Element, or Luxury Collection Hotel. Free nights start at 2,000 points per night. And the best part is: If a standard room is for sale, you can book it with Starpoints. Free night awards are not capacity controlled like award flights are. As another example of Free Night Awards, the cheapest SPG property in Hawaii is the Sheraton Kona Resort & Spa at Keauhou Bay, a category 4 property that costs 10k points per night or 40k for five nights, using the 5th Night Free pricing. Unless I were taking advantage of the 5th Night Free with Free Night Awards, a discounted weekend night, or I was cash poor at the moment, I would look to choose a Cash & Points award over a Free Night. Just do the math on each redemption to see whether a Free Night or Cash & Points night offers you more value for your points. For people who eschew chain hotels, Starpoints are incredibly valuable to transfer to airline miles because their are so many partner airlines, and with all 1:1 transfer partners you receive 5,000 bonus miles for every 20,000 Starpoints transferred. Starpoints transfer to 30 airlines in total, mostly at favorable rates. Starpoints have far better options than Membership Rewards, Ultimate Rewards, and ThankYou Points. I think the best options are American Airlines, Alaska Airlines, and Asiana, none of which transfer with Membership Rewards, Ultimate Rewards, or ThankYou Points. Starpoints transfer in a 20k points to 25k miles ratio (1:1.25) to all three airlines. I love American Airlines miles luxurious First Class cabins of their partners like Cathay Pacific, Etihad, and Japan Airlines and super cheap off peak awards in economy. I love Alaska Airlines, which partners with Cathay Pacific and has an underpriced award chart to Africa, charging only 70,000 miles one way in First Class from the US to Johannesburg on 24+ hours of Cathay Pacific flights. Alaska also partners with Emirates, so you can book from the United States to Asia, Europe, or Africa in Emirates A380 First Class for 100,000 miles one way. Asiana is ideal for awards to South America or Europe on United or Star Alliance partners. Its award chart is way under-priced compared to competitors like 27,500 miles from Honolulu to Bogota or 50,000 miles for Lufthansa First Class. The one glaring weakness in the airline transfer partners is that United is not a 1:1 transfer partner, 20k Starpoints transfers to only 12,500 United miles. Avoid that transfer and earn Ultimate Rewards instead to transfer to United. But apart from that, the transfer partner list is astoundingly excellent, featuring US-based representatives and major independent airlines. You can get on most commercial flights worldwide through one of these transfer partners. Both the Starwood personal and business cards confer 2 stay credits and 5 night credits toward elite status, and they are cumulative, so if you get approved for both cards, you’ll have 4 stays and 10 nights credited to my account, leaving you just 6 stays or 15 nights short of Gold Status. Gold Status entitles you to free internet and a 4 PM checkout. You also get an extra Starpoint per dollar on Starwood purchases, so cardholders with Gold Status get 5 Starpoints per dollar. Cardholders can earn 4 points per dollar on Starwood purchases, 5 points per dollar if they have Gold Status. This breaks down to 2 points per dollar for the spending normally plus another 2 points per dollar if the spending is on a Starwood card. You can combine points between Starwood accounts if both parties have had the same address on file for 30 days. This is hugely important, since certain blocks of Starpoints are critical. For instance, if you and your wife each have 10k Starpoints, you could each transfer them to your respective American Airlines accounts and have 10k miles in two accounts. Or you could combine the Starpoints and send the points to one person’s American Airlines accounts, leaving you with 25k American Airlines miles in one account after the transfer bonus. I probably should give Nights & Flights more billing because it might be a better deal than Free Night Awards, Cash & Points awards, and airline transfers. With Nights & Flights, you get five hotel nights and 50,000 airline miles for only 60-70k Starpoints. Unfortunately the award is limited to Category 3 and 4 hotels. But the price is unbeatable. Going back to the Sheraton in Kona discussed above, for 70k Starpoints, you could get five free nights at the property plus 50k American Airlines miles to get there (you only need 35k). A lot of airlines and hotels, want you to blow your points on overpriced experiences and merchandise, but Starwood Moments have some good values. I spent 6,000 Starpoints to attend a Capital Cities concert in Buenos Aires and meet the band. 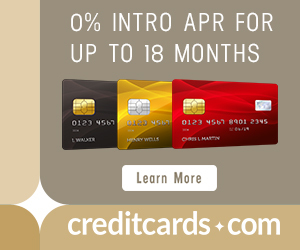 Eligibility is separate for each card. The current American Express rule is that you can only get one sign up bonus per lifetime on personal cards, so if you’ve ever had the personal card before, you can’t get it again with bonus now. “This offer is also not available to applicants who have had this product within the last 12 months.” That means to be eligible for either card, you must have never had it OR had it but cancelled it more than 12 months ago. Currently, both the personal and business versions of the Starwood Preferred Guest credit card have a 30,000 Starpoint sign up bonus. Getting both cards gives you 68,000 total Starpoints after meeting their minimum spending requirements. Through Free Nights, Cash & Points, airline transfers, and Nights & Flights, I get at least 2.5 cents of value per Starpoint.